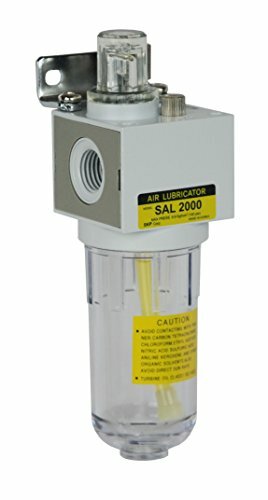 PneumaticPlus SAL2000M-N02B Miniature Compressed Air Lubricator 1/4'' NPT - Poly Bowl, Bracket by PneumaticPlus at Humble Opinion. MPN: SAL2000M-N02B. Hurry! Limited time offer. Offer valid only while supplies last. Pneumatic Plus SAL Series Air Lubricators are designed to keep your airline and air tools properly lubricated all times to maintain peak performance.